cousin in Paris. Country cousin finds himself sucked into city cousin’s wild lifestyle, with disastrous results. 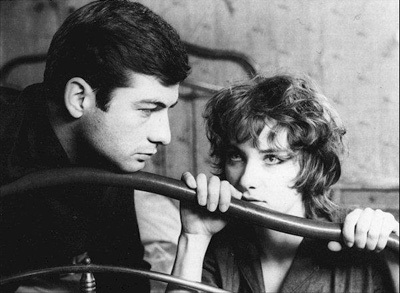 Chabrol flipped the casting of the lead actors in the two films: Gérard Blain plays the tough drunk in Serge and the nerdy introvert in Cousins, while Jean-Claude Brialy is the gentle-souled good Samaritan from the former and the slick-talking libertine of the latter. The Strange Case of Angelica (Cinema Guild) — Another wisp of a film from 100-something director de Oliveira, The Strange Case of Angelica casts a truly dreamlike spell. With rich, painterly cinematography and ghostly interludes in which the film’s main character, Isaac, is visited by the deceased young woman he was hired to photograph, de Oliveira brings this otherwise small story to impressively full life. Combine that with a hokey, almost winking sense of humor, and you have another worthy addition to this filmmaker’s ongoing (and ongoing, and ongoing) canon. Available on DVD or Blu-ray . Circo (First Run Features) — Available on DVD . 4th and Goal (First Run Features) — As football season begins, unleashing the annual party that consists of well-paid, muscular brutes donning their helmets and padded uniforms in order to hut-hut-hike! the autumn away, Nina Gilden Seavey’s documentary about six young men trying to make it into the NFL under the tutelage of City College of San Francisco’s legendary coach George Rush is yours for the VOD taking. Likely, this film will only appeal to the sportiest of sports heads, though it does capture the struggle to succeed in a rarefied profession quite well. Available on DVD or at Amazon Instant (BUY /RENT ). Breakfast at Tiffany’s: 50th Anniversary Edition (Paramount) — Buy it on Blu-ray . Bridesmaids (Universal) — Available in the following formats: DVD , 2-Disc Blu-ray/DVD Combo + Digital Copy in DVD Packaging , 2-Disc Blu-ray/DVD Combo + Digital Copy in Blu-ray Packaging , or at Amazon Instant (RENT ). HitRECord Recollection Volume 1 (New Video) — Available in a very excellent DVD/Book Package .